No Fault and PIP Insurance New Jersey. What is It? Many people have heard the term “no fault” but don’t understand exactly what it means. No fault is a system in New Jersey to get your medical bills paid in a car accident. No fault means that it doesn’t matter whose fault the accident is. Your car insurance will pay your medical bills. 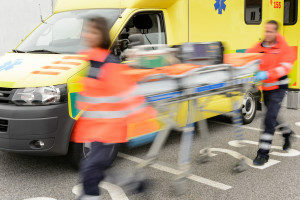 If you own a car, even if you’re not in your car at the time of the accident, your car insurance will pay all of your medical bills less some copays and deductibles. If you don’t own a car, it would be the relatives that you live with, such as a mother, father, sister, brother, aunt, or uncle whose insurance would pay your medical bills. If you don’t own a car and you don’t live with any relatives, then it would be the car that you were in that would pay your medical bills. Lastly, if the car that you’re in doesn’t have insurance or doesn’t have the type of insurance that provides medical coverage, there is a special state fund set up to cover you for your medical bill. Personal Injury Protection provides people in New Jersey with coverage for any injuries that are acquired in a car accident. There are some situations where the other person’s insurance does not provide you with enough coverage to pay for your injuries because they are underinsured. In that situation, your uninsured or underinsured motorist coverage will pay for the medical expenses that the other person’s insurance cannot cover.